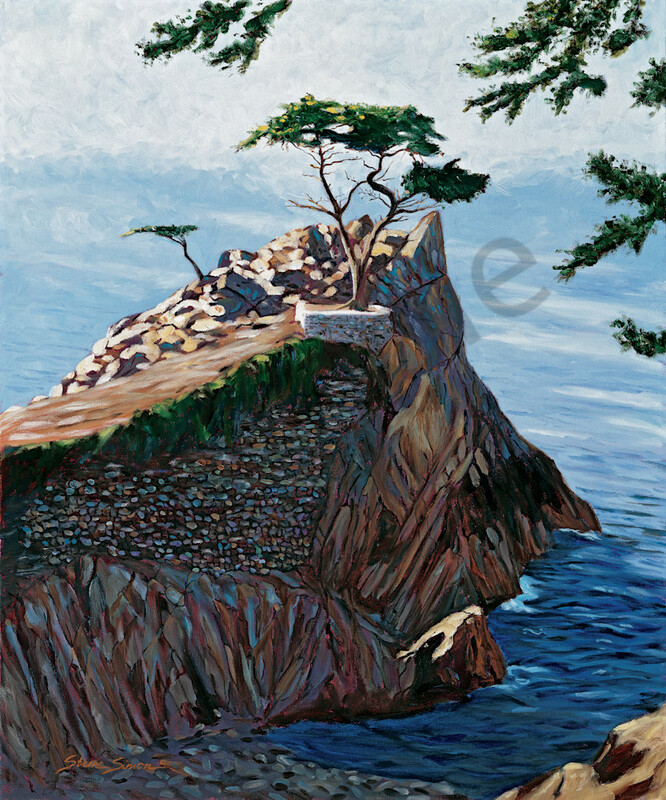 Oil painting of the Lone Cypress Tree along the 17 mile drive in Pebble Beach. The Lone Cypress Tree is about 250 years old. The image of the tree represents the Pebble Beach Company, owner of Pebble Beach golf courses and many properties in this affluent area of the Monterey Bay.. The painting was reproduced in Steve Simon's coffee-table book entitled "California: Through an Artist's Eye."